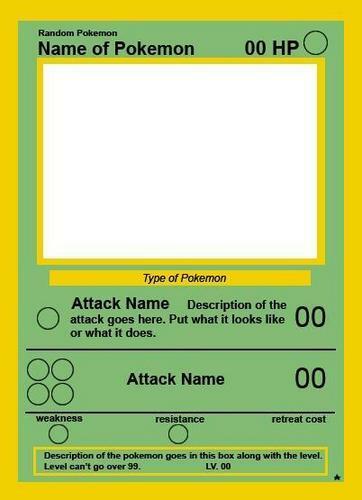 Empty pokemon card. This is fit for the PC paint, excellent quallity.. Wallpaper and background images in the Pokémon club. This is fit for the PC paint, excellent quallity. OOOps, i has lame quality, but you can still use it to make great NEW pokemon.